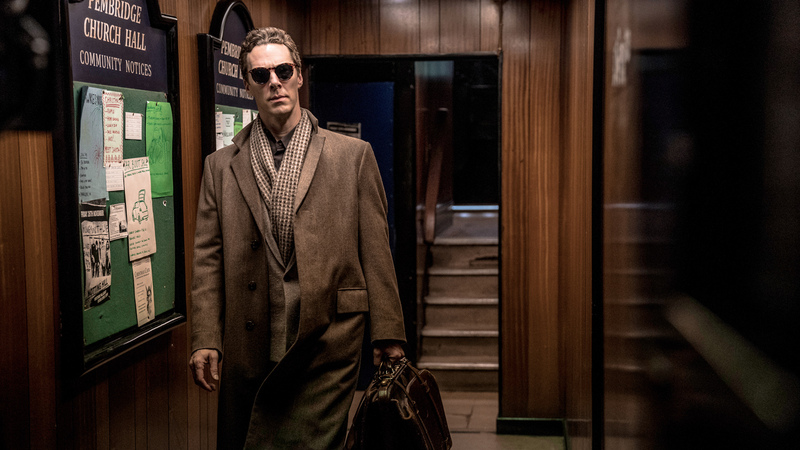 Here’s everything you need to know about the Patrick Melrose TV series and the books by Edward St Aubyn which inspired it. Edward St Aubyn’s quintet of novels have been adapted into the mini-series Patrick Melrose starring Benedict Cumberbatch. The series has been nominated for five BAFTAs, including best mini-series and best leading actor. Here’s everything you need to know, from what the Patrick Melrose books are about, to where you can watch the TV series. What is Patrick Melrose about? Sweeping through the South of France in the ‘60s, New York in the ‘80s and Britain in the early 2000s, Edward St Aubyn’s semi-autobiographical Patrick Melrose novels track their protagonist’s journey from a deeply traumatic childhood, through his chaotic, drug-addicted twenties to middle age, with searing wit and deep humanity. Each episode of Patrick Melrose is devoted to one of the novels in Edward St Aubyn’s series (Never Mind, Bad News, Some Hope, Mother’s Milk and At Last). Episode one opens as the twenty-something Patrick flies to New York to collect his father’s ashes, and goes on to spend a drug-crazed 24 hours in the city. Episode two, set in the South of France in the ‘60s, takes place in the family’s chateau where the sadistic and terrifying David Melrose (Hugo Weaving) dominates the lives of his son Patrick and his rich and unhappy American mother (Jennifer Jason Leigh). Episode three offers a sober and clean Patrick the possibility of recovery, and episode four shows the now-married Patrick as a father, struggling with child rearing, adultery and his mother's desire for assisted suicide. Finally, in episode five Patrick tries to solve the puzzle of his parents, and gropes towards tentative recovery. The series was written by BAFTA Award nominee David Nicholls and directed by Edward Berger. Each era has been recreated with a distinct visual style, creating a unique sense of time and place for each episode. Containing the first three novels in the series, Patrick Melrose Volume 1 moves from his childhood with a cruel father and alcoholic mother, to an adulthood fraught with addiction. Patrick Melrose Volume 2 contains the final two novels in the series, and sees Patrick coming to terms with his family's dark past and his own fatherhood. Who wrote the Patrick Melrose novels? Author and journalist Edward St Aubyn was born in London in 1960. His superbly acclaimed Melrose novels are Never Mind, Bad News, Some Hope, Mother's Milk (shortlisted for the Man Booker Prize 2006) and At Last. He is also the author of the novels A Clue to the Exit, On the Edge and Lost for Words. Where can I watch the Patrick Melrose TV series? The Patrick Melrose series originally aired on Sky Atlantic and Now TV, with the first episode airing on Sunday 13th May 2018. The series is now available to watch on Now TV and Sky TV, and is available to buy on DVD. Who stars in Patrick Melrose? The star-studded cast for the series is led by Benedict Cumberbatch in the title role (who is also an Executive Producer) and Jennifer Jason Leigh and Hugo Weaving who play Patrick Melrose’s parents in episodes two. The cast also includes Anna Madeley (The Crown), Blythe Danner (Meet the Fockers), Allison Williams (Girls), Pip Torrens (The Crown), Jessica Raine (Call the Midwife), Prasanna Puwanarajah (Doctor Foster), Holliday Grainger (Strike), Indira Varma (Game of Thrones) and Celia Imrie (Bridget Jones's Baby). Who has produced the series? Patrick Melrose is executive produced by Michael Jackson, and Oscar nominee and Emmy and Golden Globe®-winning producer Rachael Horovitz (Moneyball, Grey Gardens). Jackson, the former Channel Four and IAC executive, recently formed the drama banner Two Cities Television. Along with Cumberbatch and Adam Ackland who executive produce for SunnyMarch, Helen Flint executive produces for Little Island Productions.